PD Dr. med. habil. 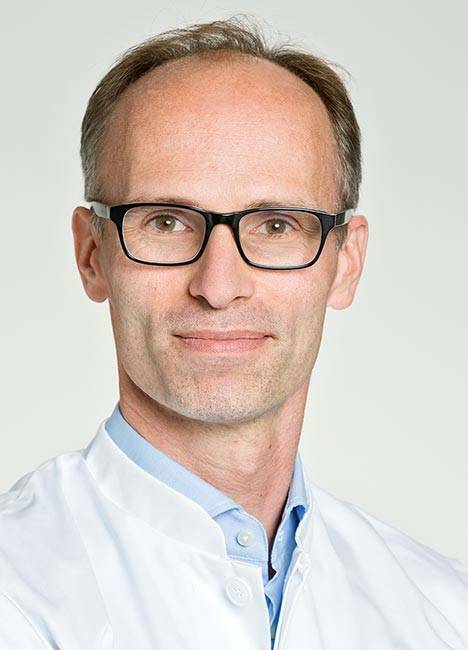 Marquaß is a specialist for orthopaedics and trauma surgery, speciality trauma surgery and sports medicine at the Gelenk-Klinik Gundelfingen orthopaedic centre. In the area of surgery PD Dr. med. habil. Marquaß is specialised in knee surgery, shoulder surgery and elbow surgery. He is a fellow of the committee for cartilage therapy and meniscus procedures at the Society for Arthroscopy and Joint Surgery (AGA). Since 2014, PD. Dr. med. habil. Marquaß has been a don for orthopaedics and trauma surgery at the University of Leipzig. The focus of scientific research of PD. Dr. med. habil. Marquaß is treating cartilage defects. Scientific advisory board and reviewer at "Cytotherapy"
Scientific advisory board and reviewer at "Advanced Drug Delivery Reviews"
Scientific advisory board and reviewer at "Rheumatology: Current Research"
Since September 2017 Specialist for knee, shoulder and elbow surgery at Gelenk-Klinik Gundelfingen i. Br. Since June 2014 Habilitation in medicine on: “Regeneration of focal cartilage defects through autologous mesenchymal stem cells"
B Marquass, P Hepp, T Engel, T Düsing, H Lill, C Josten (2007). The use of hamstrings in anterior cruciate ligament reconstruction in patients over forty years. A mid-term follow-up retrospective study.Archives of Orthopaedic and Trauma Surgery. Nov;127(9):835-43. B Marquass, T Mahn, T Engel, J Gossner, JD Theopold, N von Dercks, C Racynski, T Rose, C Josten, P Hepp (2012). Mittelfristige Ergebnisse einer longitudinalen Untersuchung zu Lebensqualität, klinischen und radiologischen Aspekten nach autologer osteochondraler Transplantation. Z. Orthop Unfallchirurgie 2012 Sep;150(4):360-7. B Marquass, E.Schiffner, J.Theopold, N. von Dercks, C. Josten, P. Hepp. (2012). Ipsilaterale Begleitverletzungen an der oberen Extremität und des Schultergürtels nach proximalen Humerusfrakturen. Eine unterschätzte Entität? Obere Extremität. Band 7 Heft 3. M Tinius, S Klima, B Marquass, W Tinius, C Josten (2006). Salvage procedures after failed unicompartmental knee arthroplasty - an analysis of 116 revisions. Zeitschrift für Orthopädie und ihre Grenzgebiete. Jul-Aug;144(4):367-72. C Josten, B Marquass, C Schwarz, A Verheyden (2010). Intramedullary nailing of proximal tibial fractures. Complications and risk factors. Unfallchirurg. Jan;113(1):21-8. Hepp P, Klima S, von Dercks N, Marquass B, Jung H, Josten C. Total knee arthroplasty in post-traumatic osteoarthritis. Z Orthop Unfall. 2012 Sep;150(4):374-80. H Siekmann, B Marquass, S Glasmacher, A Tiemann, C Josten (2006) Differentiated therapy in necrotizing fasciitis of three extremities. Zeitschrift für Orthopädie und ihre Grenzgebiete. May-Jun;144(3):338-42.